Restoring the environmental conditions surrounding coral reefs is another important consideration in this field. 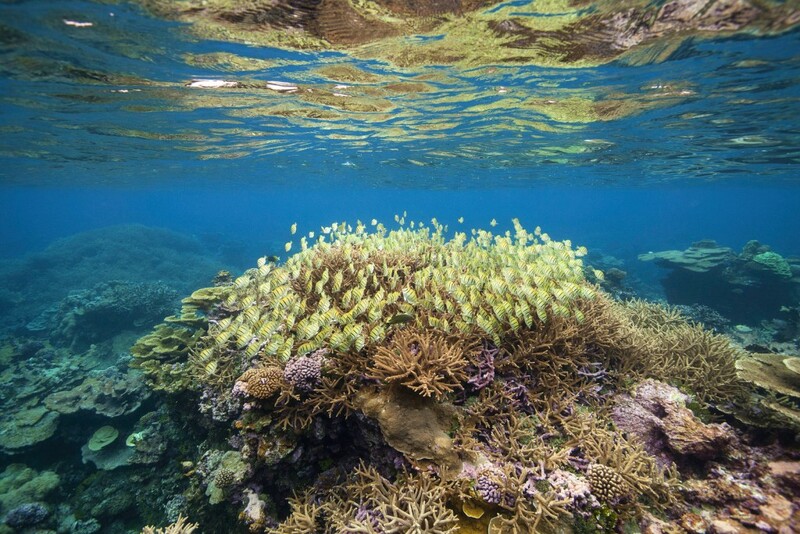 Coral reefs – although a unique ecosystem – are intricately connected to the landscapes around them, including other marine habitats like seagrass beds and mangroves as well as the nearshore land. Coral populations are likely not going to improve if stressful environmental conditions still threaten corals from land-based pollution or run-off. Likewise, important populations of fish includes some herbivores rely on seagrasses and mangroves for critical nursery habitat when they are young. Thus, a holistic approach to coral reef restoration that is long-term and sustainable should pay attention to and include the environment surrounding these habitats. This section provides a brief introduction to these methods, including the restoration of seagrass and mangrove ecosystems.